If you’ve got around $160,000 to drop on a performance car, head over to eBay to check out a suspiciously expensive 2010 Toyota Camry. Don’t worry, that mountain of cash isn’t going toward just the gaudy white-and-red two-tone paint job. The real secret resides under the skin of this former SEMA special. Toyota’s TRD performance branch worked with RK Motors to create this monstrosity back in 2010 for that year’s SEMA show and went to great lengths to ensure this wasn’t strictly a rolling art project. 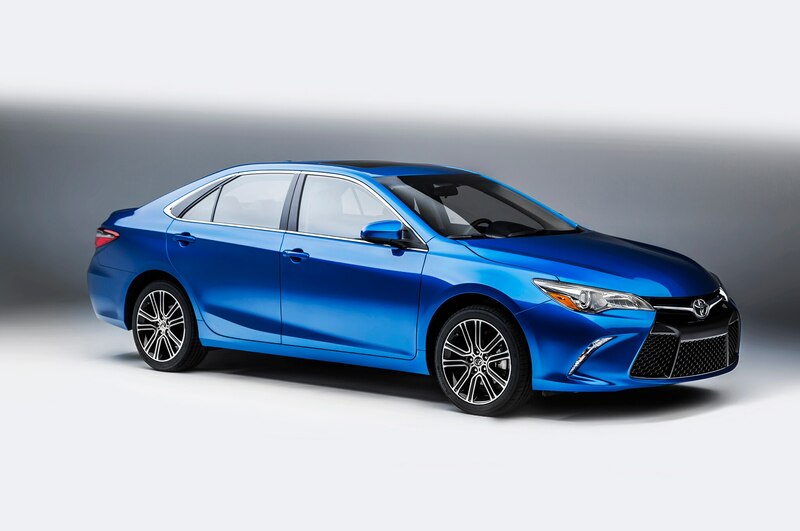 Despite the SEMA showcar roots, the so-called NASCAR Edition Camry is a polished and street-legal car. Prop the hood open, and you will come face-to-face with a stupendously excessive NASCAR-derived V-8 engine. The 5.7-liter (358 ci) spins up to a shocking 8,500 rpm, spitting out a ferocious 680 hp. 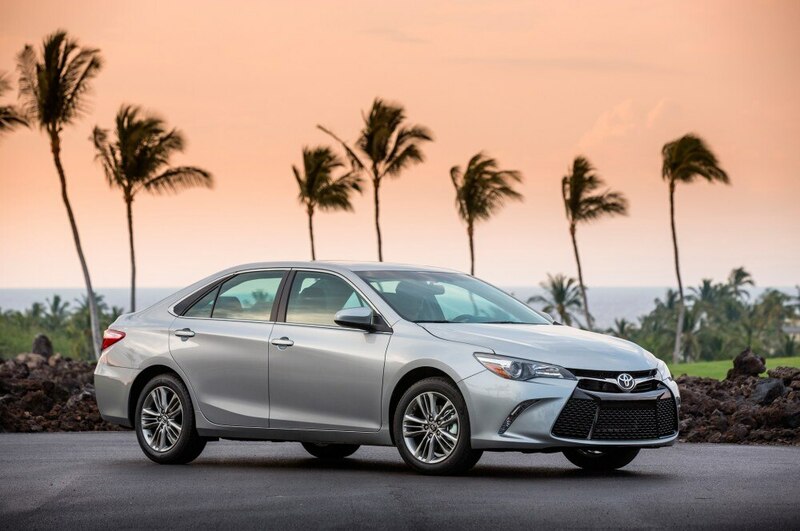 Unsurprisingly, the previously front-wheel-drive Toyota is now rear-wheel drive, with power sent to the rear wheels through a stout Tremec T-56 six-speed manual transmission. Underneath all the garish paint and ugly wheels, TRD fitted a “race” coilover suspension, mounted on a modified Toyota Venza independent rear suspension. Visually, the car sports an aggressive widebody kit, hiding wide 285/30/20 wheels in the rear and 245/35/20s in the front. 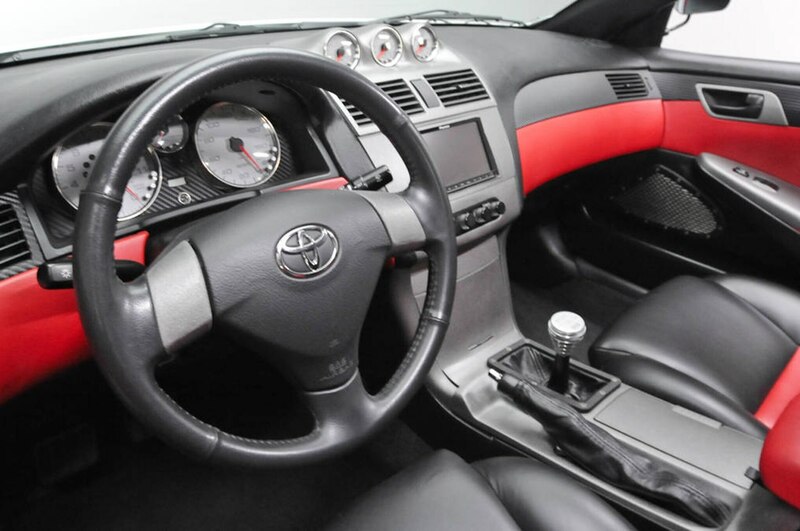 The build team fitted the Camry with a NASCAR-styled body kit, including carbon accents on the inlets and mirrors. The decklid features a prominent extended-lip wing. Inside, the attention to detail continues, with a full leather and suede package that extends to a full-size rear seat set. Of course, being a SEMA car, there is a high-powered audio system featured inside the cabin. 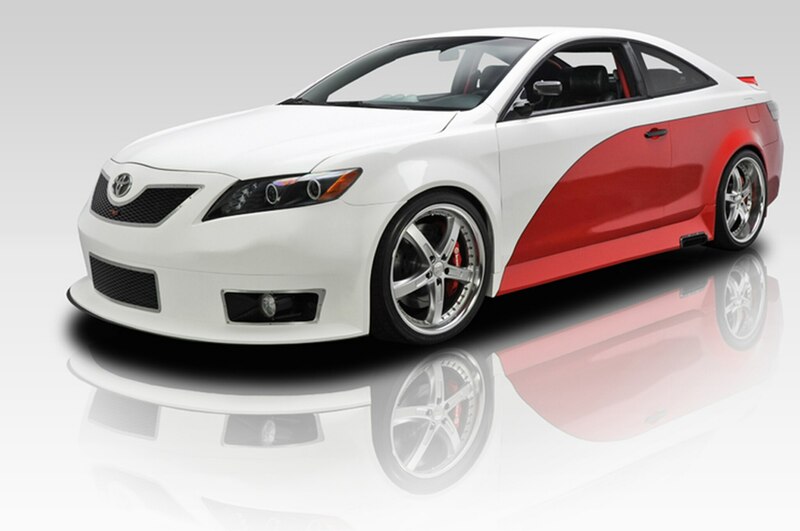 If all of this SEMA-ready design appeals to you and your bank account, check out the NASCAR Edition Toyota Camry on eBay here before it’s sold to a very lucky and a very discerning buyer.